There are times in the corporate world when standard auditing methods will not be sufficient. Sometimes, it becomes necessary to look deeper at records and employ full investigatory talents. In such instances, a forensic accountant becomes necessary. Forensic accounting integrates an individual’s standard accounting and auditing experience with investigatory skills to permit accountants to provide useful services in legal scenarios. A forensic accountant will typically provide investigatory accounting services with the ultimate goal of offering useful evidence in a report suitable for presentation in court. Why Hire a Forensic Accountant? There are a number of scenarios in which a forensic accountant could be useful. Most commonly, forensic accountants are used for economic damages calculations and post-acquisition disputes. In these instances, the forensic accountant can thoroughly investigate any and all financial information in the aftermath of a legal dispute in order to provide an accurate assessment of any damages or costs incurred. Similarly, a forensic accountant may also be hired to calculate business economic losses. This may be necessary during contract disputes, as well as product liability claims or arguments over trademark or patent infringement. In such cases, the forensic accountant can conduct a review of the organization’s financial evidence, which includes all documentation as well as computerized data. A forensic accountant is often the best choice to conduct a comprehensive review of the company’s software information. Companies often hold large quantities of data, which can be exceptionally time-consuming and complex to analyze. A forensic accountant, who specializes in investigation and analysis of financial information, can often provide the most accurate, comprehensive, and efficient breakdown of such data. Other times, a forensic accountant may be used to identify cases of company fraud. An accountant may be used in such instances to conduct detailed investigations of company accounts. This process may then uncover any instances of fraud, where the numbers fail to reflect reality or when figures may have been altered to conceal theft of company funds. If any inconsistencies are uncovered, the forensic accountant can then trace account and transaction records to find the source of the error and identify any malicious mishandling of funds. On occasion in the corporate world, disputes between businesses arise. In the majority of cases, these issues can be easily resolved. However, in a few instances, it becomes necessary to manage the dispute through legal channels. In such cases, the advice of accountants versed in the legalities of commercial disputes can be essential. Litigation support is one of the most common reasons to hire a forensic accountant. Litigation support is, essentially, the process by which accountants familiar with the commercial disputes provide consultation and advice to attorneys. The kind of support provided can vary significantly from case to case. In some circumstances the advice might mean assistance during research or the provision of relevant facts and documentation, while in others it might entail determining the extent of damages once the case has been tried. In such cases, a forensic accountant can provide assistance with settlement discussions or in obtaining documentation to support a legal claim. They can also provide crucial support in the early stages of a legal dispute by conducting reviews of relevant documentation to form an initial assessment of the case, or by aiding in the discovery proceedings by helping to formulate key questions with regard to the financial evidence. If a dispute arises, litigation support can be a vital tool for achieving your desired outcome. If you ever need to consult with a litigation support provider, ensure that you work closely with them and with your legal counsel to clearly define all expectations to ensure a smooth working relationship. First and foremost, it is of the utmost importance to consider the experience and qualifications of your forensic accountant. Ensure that whomever you hire has the experience necessary for dealing competently with your particular company and your particular legal issue. Secondly, it is important to hire your forensic accountant as early in the process as possible. The earlier your accountant is hired, the more help they will be able to offer. If retained early, your accountant can be extremely significant in reducing the overall cost and maximizing the benefits of the endeavour. They will also be able to help with the discovery proceedings and the identification of important areas for discussion during the dispute. Lastly, ensure that you work closely with your accountant. Be sure that both you and your legal counsel have communicated with your accountant to clearly define all expectations in terms of support engagement and the deliverables that can be expected. § A forensic accountant can be useful in a number of legal scenarios, including assessments of economic damages, post-acquisition disputes, and fraud detection. § Litigation support is a particularly important means by which a forensic accountant may be of assistance. In these circumstances, the accountant provides support to legal counsel in the form of provision and analysis of relevant documentation and input into settlement negotiations. § It is important to recruit your accountant early in the process so that they can provide as much benefit to your company as possible. In addition, consult closely with your accountant and your legal counsel to make certain that all parties are aware of expectations with relation to the litigation support engagement and deliverables. When hiring a forensic accountant, it is imperative to look externally. A forensic accountant ought to be hired from outside your business so that they can provide expert, objective analyses of your financial data. 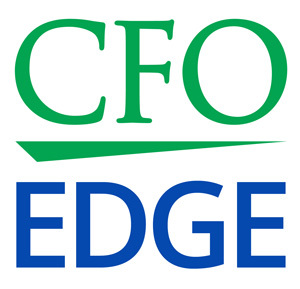 Los Angeles CEOs and CFOs may want to consider engaging an outsourced CFO services firm that has professionals with extensive experience in forensic accounting and litigation support.